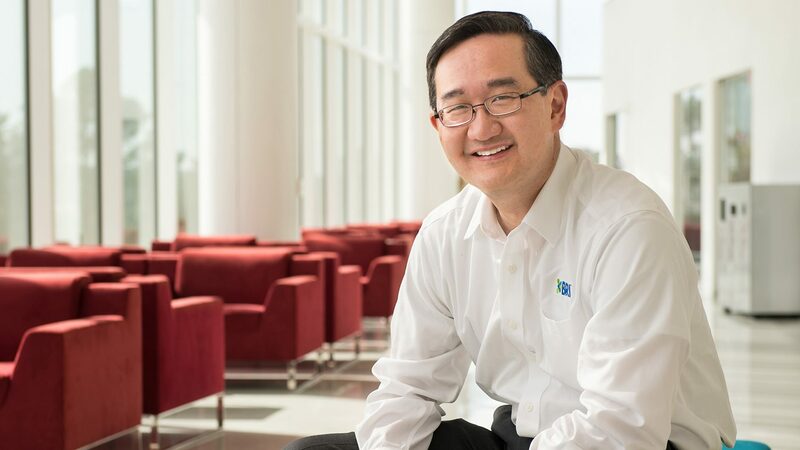 CALS alumnus Giles Shih is BioResource International's chief executive officer. Partnerships with NC State University’s research and academic programs have played a role in BioResource International’s success from the company’s start nearly 20 years ago – and they will in the future, as well. BRI, with headquarters in Research Triangle Park and a manufacturing operation in Apex, has been recognized nationally and globally for translating academic research into a profitable, growing agricultural biotechnology business. Each year, BRI holds a dinner to celebrate the partnerships it has forged with area institutions. NC State and its College of Agriculture and Life Sciences are always well-represented by faculty members and researchers. That was the case again at this year’s dinner, held in October. 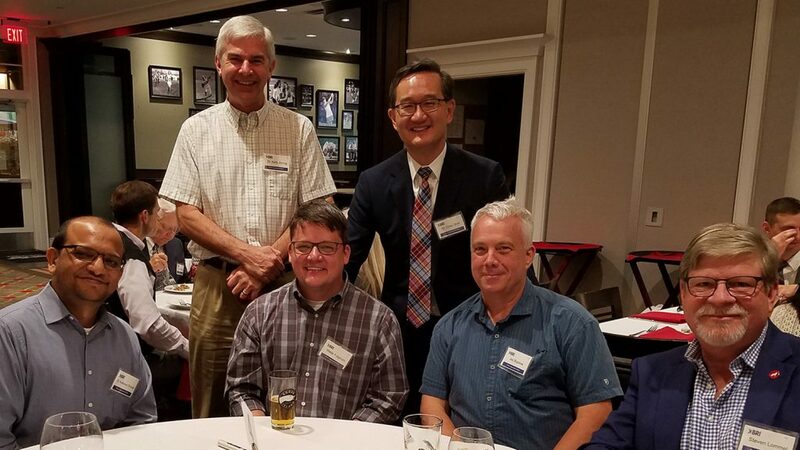 Steve Lommel, CALS’ associate dean and director of the North Carolina Agricultural Research Service, was among the participants at the appreciation event. The partnership we have with BRI has been tremendously beneficial … for CALS’ entire research enterprise and countless students. “The partnership we have with BRI has been tremendously beneficial not just for the company, but for CALS’ entire research enterprise and countless students,” Lommel said. After the celebration, Shih, who earned a master’s in microbiology at NC State, sat down to share more about the mutual benefits of the university-industry partnership. How did BRI’s partnership with NC State begin? We basically spun out of NC State 19 years ago to commercialize a technology that my father, Professor Jason Shih, had developed through his research in NC State’s Prestage Department of Poultry Science. What we do as a company is apply the latest tools in molecular biology and biotechnology to the animal health and nutrition area. Our product is an enzyme additive used in animal feed to help poultry and swine producers be more productive in a way that’s good for animals, people and the environment. When it comes to talent, we are big supporters of NC State alumni and students. About a third of our workforce has undergraduate or graduate degrees from NC State. 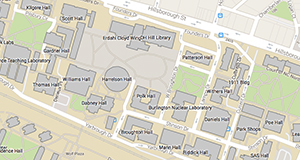 What are some of the ways that BRI continues to partner with CALS and NC State? At the appreciation dinner, the strong partnership we have with the university was evident. There were researchers, faculty members and administrators that we have collaborated with in the past and continue to work with. We’ve done a lot of animal trials and pellet trials with NC State; we have collaborated with the Feed Mill on several projects – in just the past year, we’ve done six different studies with Adam Fahrenholz and Shawn Bradshaw over there. We’ve done three animal trials, both poultry and swine, but most recently we’ve been doing some swine trials in the Animal Science Department. We also do some work involving students. Rhonda Sutton leads the CALS Agricultural Leadership Learning Institute, and our technical service manager James Tyus has worked with Rhonda to bring a group of students in to visit BRI this year. This is the first year that they’ve put this program together in CALS, and it will probably continue. We’ve also been active in the Career Expo each year, and there is a new program in the Graduate School called A2i (Accelerate to Industry). One of our scientists who is an NC State graduate has been helping to talk to graduate students about making the transition from academia to industry for their career, which I think is great. We have also recruited a lot of talent out of the Master’s of Microbial Biotechnology program, led by Paul Hamilton. I find that the students coming out of the program are well-trained, understand science, and have an interest in the business side of things. From the MMB program, we’ve also hosted student projects where a group of five or six students will come in and focus on a semester-long case study on business development or market assessments, which is helpful for a company our size. How would you like your partnership with CALS to grow? Partnerships were not only helpful, they were instrumental for us to get to where we are. At the partner appreciation dinner, it was interesting to see the whole cross-section of folks that helped us when we first started BRI. Those partnerships were not only helpful, they were instrumental for us to get to where we are. Then, seeing where we are and where we want to go with our partnership, Kultaran Chohan and Wade Fulghum from NC State’s Office of Technology Commercialization and New Ventures, were also with us at the dinner. We want to see if we can replicate what we did with the first set of patents that we licensed from NC State, if there are other technologies and patents that may be a fit for us and available to license. There’s some world-class science that’s being done here, especially in the agricultural and life sciences areas. Help us grow talent, solutions and our economies by supporting and engaging with CALS’ academic, research, teaching and extension efforts.